DUGAS (Dugast), JOSEPH, merchant, privateer, and militia officer; b. 1714 at Grand Pré, Nova Scotia, second son of Joseph Dugas and Marguerite Richard; m. first Marguerite Leblanc, daughter of Joseph Leblanc, dit Le Maigre, and they had seven children; m. secondly Louise Arseneau at Chedabouctou (Guysborough, N.S.) in 1762; d. 11 Jan. 1779 at Saint-Servan, France. Joseph Dugas was brought by his family to the new colony of Île Royale (Cape Breton Island) as an infant. In 1729 at the age of 15 he was commanding the Nouveau Commerçant in the coasting trade between Louisbourg and Île Saint-Jean (Prince Edward Island). Working with his father until the latter’s death in 1733 and then on his own, he supplied firewood to the Louisbourg garrison. Between 1730 and 1737 the annual income from this business averaged 5,567 livres, phenomenal earnings compared with a garrison captain’s pay of 1,080 livres. In 1737 Dugas, in partnership with Jean Milly, dit La Croix, and François Poinsu, was granted a three-year charter to provide both the garrison and the civilian population of Louisbourg with fresh beef, an important contract because virtually all Île Royale’s foodstuffs were imported. The enterprise began well in July 1738, but difficulties arose when the minister of Marine, Maurepas, pursuing French trade policies, stipulated that cattle were to be imported from Canada rather than from British Nova Scotia. Moreover, in the same year local merchants objected that the Dugas enterprise was a front for François Du Pont Duvivier’s monopoly. In 1740 the charter was modified slightly to stipulate that Dugas draw at least 30 head of cattle from Canada each year. The conditions of the charter were, however, never stringently enforced, probably as a result of the protection of the Louisbourg administration [see Du Pont Duvivier]; in 1744 Acadian deputies reported to Paul Mascarene* that Dugas had driven both cattle and sheep overland from Minas to Baie-Verte (N.B.) and then taken them by sea to Louisbourg. Dugas continued to supply the needs of the garrison until 1745. Because of these drives Dugas was able to provide the French with military intelligence. In October 1744 he informed Claude-Élisabeth Denys* de Bonnaventure, commander of the naval detachment which was supposed to combine with Duvivier’s land force for an attack on Annapolis Royal, Nova Scotia, that the latter had already withdrawn. On 17 May 1745 Louis Du Pont Duchambon, the commandant at Louisbourg, dispatched Dugas to locate Paul Marin* de La Malgue in Acadia and communicate the necessity of immediate relief for the besieged fortress. 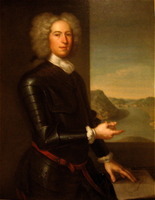 After Louisbourg’s fall, William Pepperrell* and Peter Warren* sent Dugas to Nova Scotia to encourage the Acadians to provision the occupying force. Dugas’s association with Pepperrell and Warren was short-lived. When Indians from Île Royale plundered his ship at Tatamagouche and threatened him, Dugas retired to Minas until Île Royale was returned to France in 1749; he then settled at Port-Toulouse (near St Peters, N.S.). 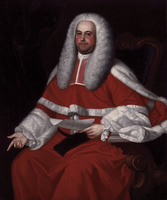 The census of 1752 described him as a “habitant-caboteur” (coaster); his holdings were meagre: three cattle, two pigs, a dozen fowl, and two acres under turnips which, he complained, “have never grown well there.” The purchase of a vessel undoubtedly improved his situation. The historian François-Edme Rameau de Saint-Père reports that up to 1756 Dugas and several others were paid 60,000 livres for making more than 300 voyages transporting refugee Acadians and their provisions to Île Saint-Jean. Following the second capitulation of Louisbourg on 26 July 1758 Dugas escaped to Quebec where he was issued a commission as a privateer. In January 1759 he passed information to the commander of the Miramichi region (N. B.) about British preparations at Halifax and Louisbourg and noted the plight of the Acadians, who had suffered “all the hardships imaginable.” He also indicated that the villagers of Port-Toulouse intended to join the growing force of Acadian partisans and refugees to the north of the Chignecto area who continued to elude the British dragnet. In February 1760 Dugas was at Richibucto (N.B. ), where he strongly protested missionary Jean Manach*’s encouragement of Acadian submission. By the winter of 1760 Dugas was a major in the partisan militia around the Baie des Chaleurs. The resistance of this last French stronghold had slowly crumbled after the capitulation of François-Gabriel d’Angeac on 30 Oct. 1760. The continued presence of the Acadian partisans and privateers and of a small detachment of 12 colonial regulars commanded by François Boucher de Niverville (Nebourvele) Grandpré alarmed Jonathan Belcher, the administrator of Nova Scotia, and in October 1761 Captain Roderick MacKenzie with 56 soldiers was sent to pacify the region. Owing to the number of Acadians and the lack of ships, MacKenzie was able to transport only the Acadian leaders, including Dugas (Di Gaw in some British records), to Fort Cumberland (near Sackville, N.B. ), and then to Halifax where they were imprisoned. Among those left behind was Alexis Landry. When Dugas was captured, he seems to have owned two 20-ton shallops (one in partnership with Joseph Leblanc, dit Le Maigre) which may have been used as privateers. A year later Dugas had escaped and was hiding at Chedabouctou, where on 2 Oct. 1762 he married Louise Arseneau, without a priest, “because they were unable to present themselves at a church.” By 1764 Dugas had emigrated to Miquelon; his marriage was regularized there in May 1766. The fate of those Acadians who, to remain loyal to French authority, moved to Saint-Pierre and Miquelon was not a pleasant one. In 1767, as a result of French policy, many were deported or left the islands [see d’Angeac], and Dugas was among them. He arrived at Saint-Malo in November 1767, only to be forced along with other Acadians to return the following spring. Joseph Dugas lived out his last years in penury. In 1776, after a half-century of enterprise on the Acadian frontier, he had only a share of a beach lot, a house, a stable, and two head of cattle. Two years later, aged 64, Dugas suffered his final hardship: the British, in retaliation for the French sheltering of Yankee privateers during the American revolution, captured Saint-Pierre and Miquelon and deported its nearly 1,300 inhabitants to France. Dugas and his wife disembarked once again at Saint-Malo, on 6 Nov. 1778. He died at nearby Saint-Servan on 11 Jan. 1779; his wife died five months later on 10 June. AD, Ille-et-Vilaine (Rennes), État civil, Saint-Servan, 11 janv. 1779. AMA, SHA, A1, 3498, no.6. AN, Col., B, 65, ff.447v–48v; 66, ff.297–98; 70; C11A, 105, ff.49–49v, 60–60v; C11B, 19, f.133; 20, ff.52, 304–6v; 22, ff.202, 288–89; 25, f.43; C11C, 11; 12, f.155; Section Outre-mer, Dépôt des fortifications des colonies, Am. sept., no.216; G1, 413A, ff.26, 65; 467, f.28; G2, 180, ff.350–53; 182, ff.629–39; 191, ff.58–58v; G3, 2037, f.66; 2038/1, f.18; 2045, f.29. CÉA, Fonds Patrice Gallant, les Acadiens à Miquelon, dossier VII, 191–91b. PRO, CO 217/1, ff.222–22v; WO 34/1, pp.47–52, 63–70, 117–26, 139–44, 313–28 (PAC transcripts). Placide Gaudet, “Acadian genealogy and notes,” PAC Report, 1905, II, pt.iii, 175, 191–96, 260–64, 271–72. N.S. Archives, IV, 52, 76–77. PAC Report, 1894, 226–27, 229–30; 1905, II, pt.i, 17. “Papiers Amherst (1760–1763) concernant les Acadiens,” R.-S. Brun, édit., Soc. historique acadienne, Cahier (Moncton, N.-B. ), III (1968–71), 257–320. [F.-E.] Rameau de Saint-Père, Une colonie féodale en Amérique: l’Acadie (1604–1881) (2v., Paris et Montréal, 1889), II, 386–87. Bernard Pothier, “Acadian emigration to Île Royale after the conquest of Acadia,” Social History, no.6 (November 1970), 116–31. Bernard Pothier, “DUGAS, JOSEPH (1714-79),” in Dictionary of Canadian Biography, vol. 4, University of Toronto/Université Laval, 2003–, accessed April 20, 2019, http://www.biographi.ca/en/bio/dugas_joseph_1714_79_4E.html.